It has been a subdued sort of week here, which has been reflected in the lack of blog posts. We are all very happy… we’ve just been having some downtime after a busy spell. DorkyDad has had a lot of work travel recently, so DorkySon and I got the train up to Edinburgh last weekend and spent a couple of nights staying with DorkyGranny. It was really nice to be there, although with it being such a short trip I only had time to see a couple of friends, and not everyone I would have liked to. Having seen how easy it is to get up there on my own with DorkySon, and how well it filled the time when DorkyDad was away, we’ll definitely be going up again before too long. 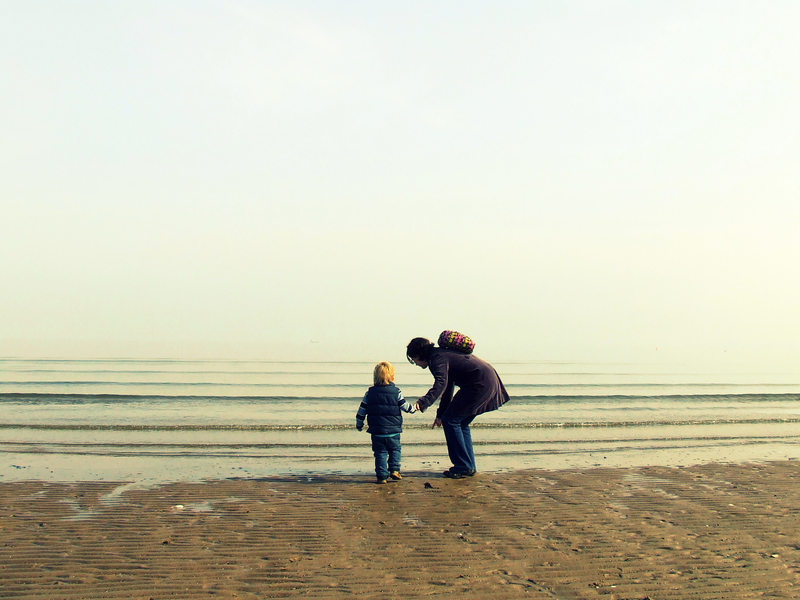 We spent some time on the beach, and a lot of time looking at the bus and car garages that are near DorkyGranny’s house. We even made it back up to our old stomping ground of Morningside. It was an odd feeling for me – not sad exactly, but I was amazed at how familiar it all felt, as though I’d only been away for a week or two rather than six months. I had a quiet moment sitting on Bruntsfield Links – looking at the daffodils and the lovely views of Arthur’s Seat and the Castle. On a beautiful sunny day, which it was, I had to remind myself how harsh and dark Edinburgh can be in winter. DorkySon seemed to take it all in his stride. He played happily in the park that we used to visit a couple of times a week, managed to convince me of the need for a visit to ‘his favourite toy shop in the whole world’ and pointed out all the places we used to go daily without seeming too perturbed. He asked a couple of times if we were going to go back and visit our old house, but didn’t seem too concerned when I said no. We have both been pretty excited to have DorkyDad back from his travels, and the excitement levels hit a new high today because it’s the eve of DorkySon’s third birthday. We have stuck to our decision to make it a family day rather than a big partying one. Nonetheless, I have been baking, wrapping presents and blowing up balloons like a crazy lady, as well as getting our guest room ready for a friend who is coming to stay. Wish us luck in getting DorkySon to bed tonight – we need it. That is one massive balloon. Hope you all hae a lovely evening. Awwww Happy Birthday DorkySon – and glad you enjoyed your trip home. Edinburgh will always be here for you (and I can’t wait to go to that sushi bar next time you’re up). 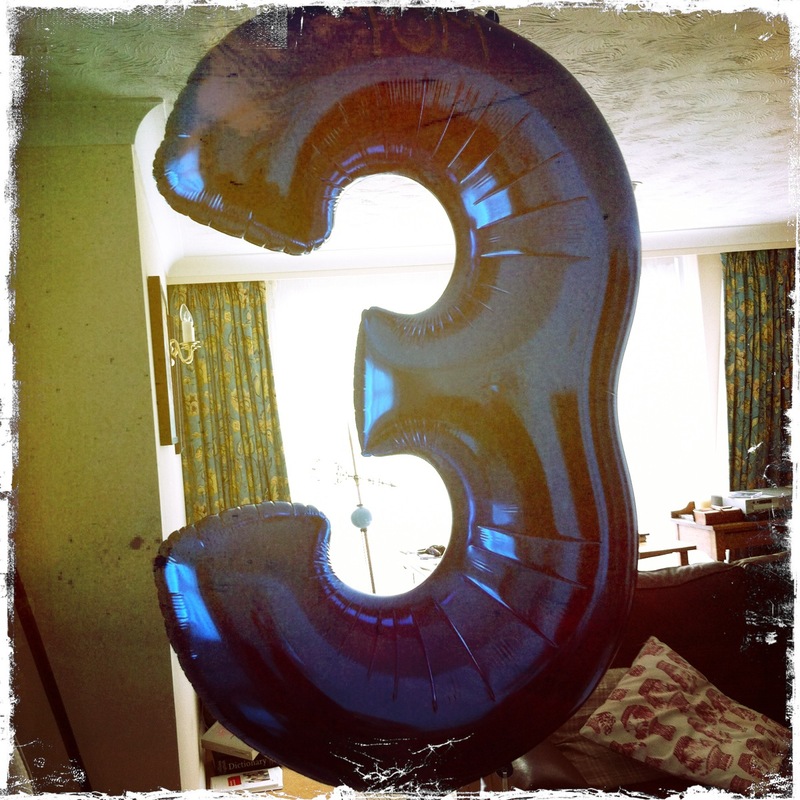 Happy 3rd birthday – I’m sure excitement levels have been crazy!! I love Edinburgh too and the play area on The Meadows is quite something! I hope bedtime goes well. Lovely photos. Hope DorkySon had a wonderful birthday.